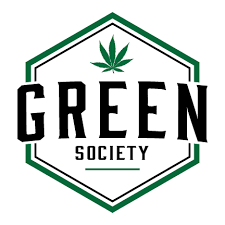 We take an in-depth review of Greensociety.ca, one of Canada’s premier options for ordering the highest quality cannabis online. 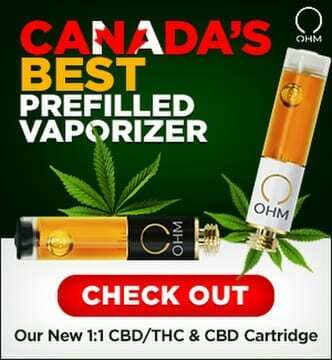 Located in Vancouver, British Columbia; they offer fast shipping throughout Canada. This MOM dispensary believes in the power of medical marijuana to heal diseases and provide many health benefits. They understand the importance of providing their patients with only the highest quality medical marijuana at prices that they can afford. 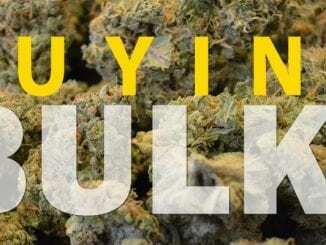 Greensociety.ca ensures that you will never have to stress about your order again. 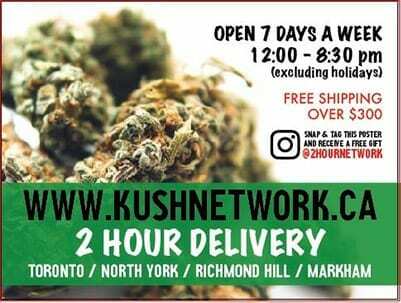 This dispensaries ordering system is among the quickest and easiest we have used and their packaging was incredibly discrete. We would have never known what was inside if we didn’t place the order ourselves. Moreover, the box easily fit inside our standard sized mailbox and was neat and professionally packaged and vacuum sealed. Upon opening the package, all of the strains were clearly marked using a label maker and there was no confusion about which strains were which. They also make every effort to stand on top of the most recent trends in the industry and are constantly educating themselves to ensure that they can offer their patients the best knowledge, service and products possible. 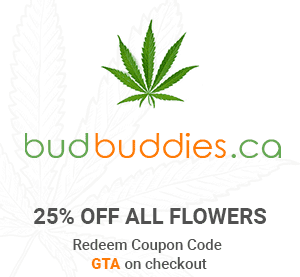 We have a coupon code for Greensociety.ca which is “GTAPLUG20”. 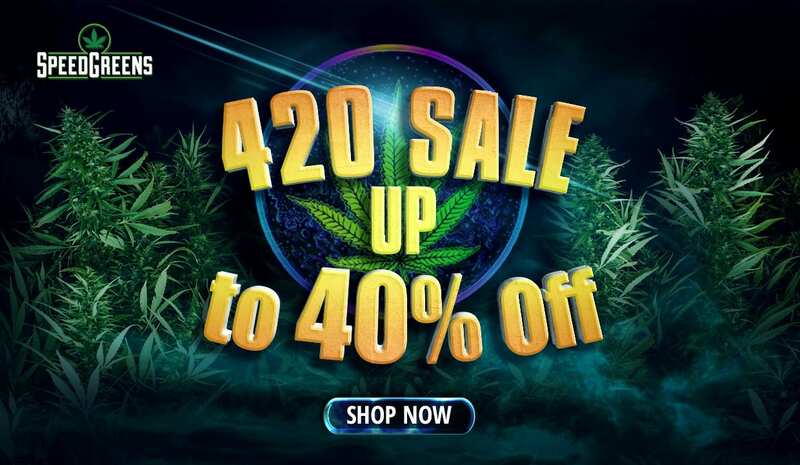 Recieve 20% off your entire cart with this incredible promotion. Black Diamond from Greensociety.ca had medium sized nuggets that glittered with generous amounts of tiny, white crystal trichomes. The buds had an extremely dark, forest green colouration and were incredibly dense. Greensociety.ca’s Black Diamond also had blue-black undertones which lent to the beauty of this flower. There were extremely tiny and spaced goldenrod-orange pistils emerging delicately throughout the nugget. It had a strong diesel and earthy aroma that quickly filled the air as soon as the ziplock was opened. When combusted; this strain offered by Greensociety.ca produced a very smooth smoke that had unique flavour profile which was slightly arid. This smooth and sweet strain also had an earthiness to it. I would highly recommend this strain for those that are connoisseurs of the finest flowers. When vaped with the Arizer V-Tower, this flower produced a thick and rich vapour that left a slightly sweet musk lingering in the air. The flavour when vaped had a sweet, berry earthiness that kept us coming back for more. Black Diamond produced feelings of happiness and euphoria but was somewhat sedating as well. Do not expect to be highly productive with this rare, indica dominant hybrid. 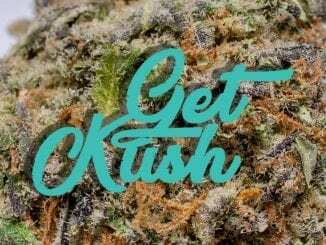 This strain is perfect for uses where a strong indica would be preferred such as treating sleep disorders, Parkinson’s Disease, inflammatory diseases, mood disorders, chronic pain and/or opiate addiction and recovery. The large and medium buds of Supreme Nuken from Greensociety.ca were mostly a dark, hunter green; however, there were wisps of lime green moving out from the centre of the bud. There were also hundreds of bright, golden pistils bursting forth from the centre in a stark contrast of colour. Furthermore, there were millions of tiny, white crystal trichomes, that sparkled like diamonds beneath the light. Supreme Nuken also had a sweet, earthy and herbaceous aroma, that left me anxious to try the sweet-smelling bud. When combusted, Supreme Nuken produced thick clouds of aromatic earthiness, that filled the entire room with its seductive fragrance. Moreover, the smoke was incredibly smooth, combining a silky earthy flavour; with an arity, that produced a harmonious symphony that lingered long after the hit had been consumed. When vaped with the Arizer V-Tower, Supreme Nuken produced copious amounts of thick, rich, aromatic and flavourful clouds of vapour. The vapour added a subtle earthiness to the air; in addition to, a soft, and seemingly distant, woody, campfire fragrance. Greensociety.ca’s Supreme Nuken continued to maintain that soft, earthy flavour, with a spicy, minty and citrus flavour on the backend, that invited multiple vape sessions. This mostly indica dominant hybrid quickly produced feelings of relaxation, with a beautiful body buzz to melt away chronic pain. Moreover, there was a moderate euphoria, couch lock, a moderate amount of sedation and an uplifted mood when consuming Supreme Nuken. This strain should only be used at night due to its sedative nature. Moreover, novices should use caution with this strain, as inexperienced users may feel overwhelmed. During our review of Greensociety.ca’s Supreme Nuken we found that it can be used to treat a number of symptoms and conditions, including (but not limited to): chronic pain, insomnia, migraines, fibromyalgia, parkinson’s disease, multiple sclerosis, inflammatory diseases, opiate addiction and recovery, chronic stress, depression, anxiety and/or other mood disorders (as directed). Greensociety.ca’s Red Lemon Congo is a cross between Super Lemon Haze and Red Congolese. THC levels for this sativa dominant hybrid strain can reach levels of up to 25%. Moreover, the medium sized buds of Red Lemon Congo were an amalgamation of forest, hunter and sage greens, with vibrant, vivid and dainty burnt orange pistils; leaving the nuggets a beautiful juxtaposition of colour. The buds were also covered in a fine dusting of tiny, white crystal trichomes, that glittered reflected light. Furthermore, there was a refreshing and zesty lemon aroma; as well as, an earthy spiciness, that was incredibly pleasant to inhale. When combusted, Red Lemon Congo from the review of Greensociety.ca produced an incredibly smooth smoke; in addition to, a delightfully aromatic and flavourful experience. This strain released a potent citrus fragrance into the air that acted as a pleasant and unexpected, room deodorizer. Moreover, the flavour of the smoke was a complex intertwining of zesty and tart lemon; as well as, a silky earthy layer and finishing with a subtle spice, that lingered as a soft reminder of its rich and complex flavour profile. When vaped with the Arizer V-Tower, the complexity of Red Lemon Congo’s flavour profile were highlighted. There was a soft earthiness; combined with, refreshing lemon and subtle, sweet citrus. There was also a creeping aridness and a sinus-clearing spice, that appeared at the end of the exhale. The vapour was also light and dissipated quickly; leaving a sweet citrus fragrance wafting through the air. Red Lemon Congo from Greensociety.ca was an incredible and unexpected delight to smoke. This strain is a beautiful, daytime medication that delivered an energetic and upbeat demeanour; in addition to, a moderate euphoria and cerebral mindfulness, that offered relaxation, calm and a grounded sense of self. Moreover, there was focus, control and a creative energy, that allowed me to power through my day. Red Lemon Congo can be used to treat a variety of symptoms and conditions, including (but not limited to): opiate addiction and recovery, PTSD, ADHD, fatigue, nausea, migraines, fibromyalgia, multiple sclerosis, depression, anxiety, stress and/or other mood disorders (as directed). 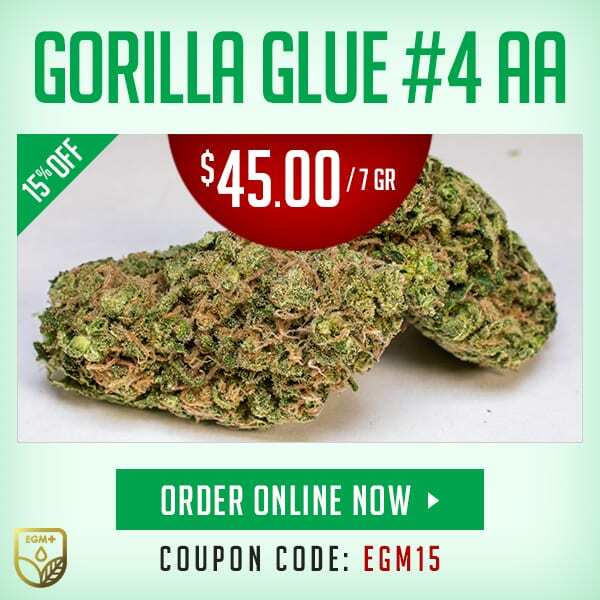 The medium and small buds from Greensociety.ca’s Master Yoda were sage and lime green nugs, with muted goldenrod coloured pistils, delicately spaced throughout the bud. Moreover, there was an incredibly fine layer of tiny, white crystal trichomes, that made the nuggets appear to be covered in powdered sugar. The nugs had a sickly sweet aroma; as well as, a subtle and fresh, citrus undercurrent. When combusted, this perfectly balanced, 50/50 hybrid produced rich clouds of smooth and fragrant smoke. The smoke added a woody earthiness to the air; as well as, a potent, dank cannabis aroma. This is not the strain to smoke if you have disapproving roommates. Dry mouth was also a bit of an issue from Greensociety.ca’s Master Yoda, be sure to have plenty of water on hand. Moreover, the smoke was mostly smooth; however, there is a kick near the end of the inhale, which added diversity to the flavour of the rich, silky and earthy smoke. When vapod, the vapour was thick and full bodied; leaving a refreshing, mint-like citrus combination, as an aftertaste. There was a zesty kick to the flavour, which made me want to keep inhaling; again and again. The vapour dissipated very quickly; making vaping the way to consume Master Yoda if concerned about discretion. When reviewing Greensociety.ca’s Master Yoda we found that it was a powerful hybrid, that definitely felt more on the indica side of the scale. This strain produced relaxation and a total body buzz that melted muscles; as well as; couch lock, a slight euphoria and tiredness. Novices are advised to use caution with this strain, as inexperienced users may feel overwhelmed. This evening medication can be used to treat a number of symptoms and conditions, such as (but not limited to): appetite loss, chronic pain, opiate addiction and recovery, multiple sclerosis, fibromyalgia, depression, anxiety and other mood disordered (as directed). The large, dense buds from Purple X God glittered with a thick, frosty layer of white crystal trichomes. The bud had hints of dark, forest green leading from the stems and a deep, muted indigo intertwined with ochre coloured pistils in full display. The nuggets also had a subtly sweet and musky aroma, that dizzied my senses as I inhaled its sweet fragrance. When combusted, Purple X God from Greensociety.ca produced a silky smooth smoke; in addition to, an earthy and slightly tart, berry flavour as an undercurrent. Moreover, the smoke was highly aromatic, leaving the room smelling of sweet herbal spice. When Purple X God was reviewed with the Arizer V-Tower Purple X God created vast amounts of thick vapour that had an earthy and herbaceous aroma, that left the room pleasantly fragranced. 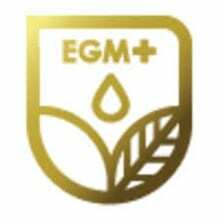 Furthermore, the flavour of the vapour was complex; at first, combining an earthy aridity and then the flavour transformed with a tingling spice at the end of the exhale that made Greensociety.ca’s Purple X God a vaping favourite. Purple X God is an indica dominant hybrid. This mostly nighttime strain brought me vast amounts of euphoria and pain relief with a moderate body buzz, but not as sedating as Greensociety.ca’s Supreme Nuken, or even Master Yoda. Moreover, Purple X God relaxed and de-stressed; as well as, adding a cerebral mindfulness that kept me grounded. 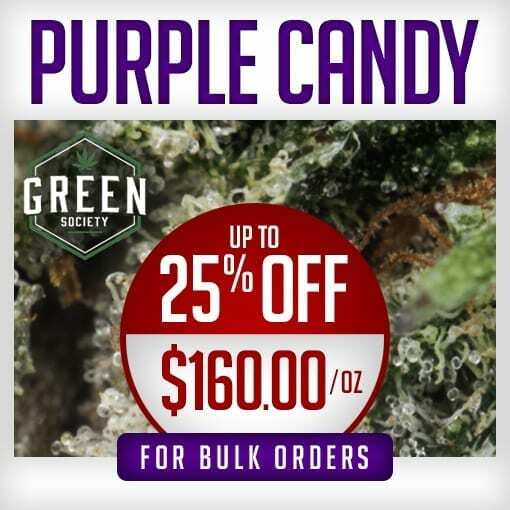 Greensociety.ca’s Purple X God can be used to treat a number of symptoms and conditions, including (but not limited to): stress, insomnia, chronic pain, opiate addiction and recovery, fibromyalgia, multiple sclerosis, depression, anxiety and other mood disorders (as directed). 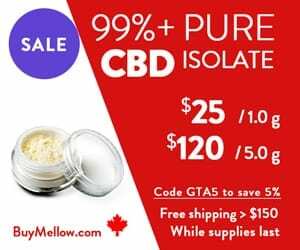 Greensociety.ca’s cannabis products were incredibly fresh and well cured. Furthermore, their website offers a sizeable selection of high-quality items, that are curated specifically to fit the demands of its customers. One can tell that a lot of thought went into this MOM’s catalogue of items. 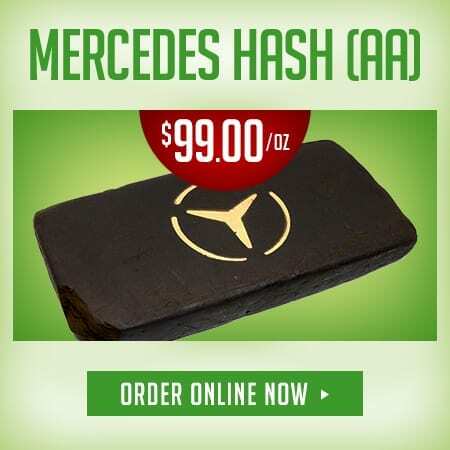 This dispensary excels when it comes to providing quality products at reasonable prices that people can afford. 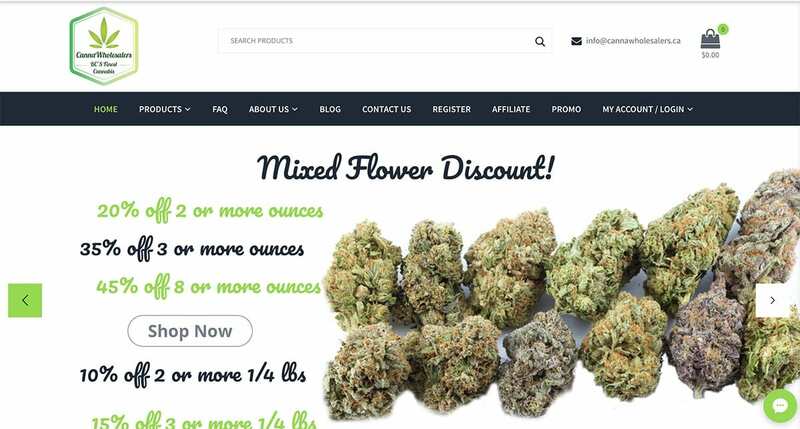 Coupled with an easy to use website and prompt customer service that answers questions quickly and professionally; this dispensary offers a lot when compared to its competition. 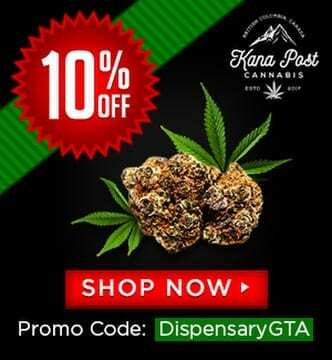 We at DispensaryGTA strongly recommend trying out Greensociety.ca for yourself. 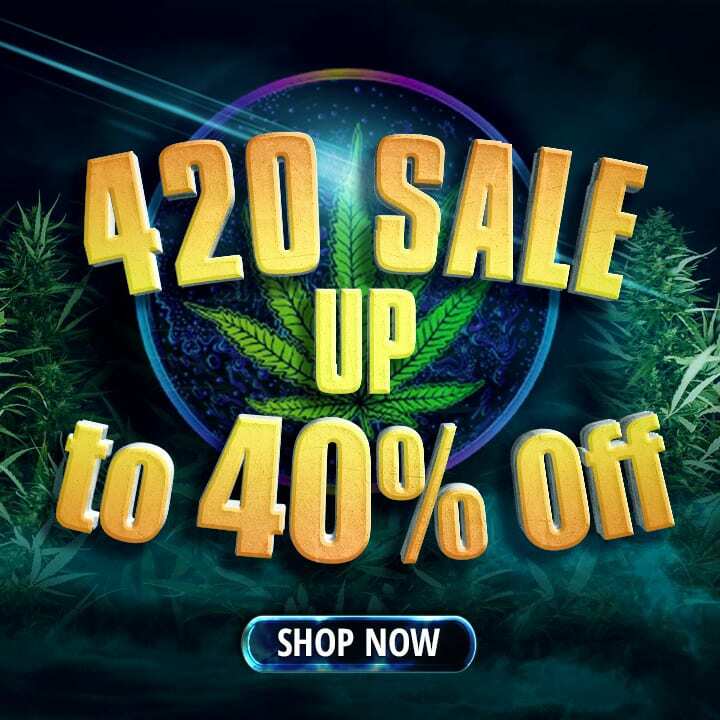 You will not be disappointed with this dispensary and it may have become our new go-to dispensary for exceptional quality bud at affordable prices. You can tell that this dispensary cares about its customers at every step of the process and I can not say enough good things about them. You will receive 20% off your entire cart. What’s stopping you from making an order? Let us know in the comments below and we will help!